WCM Global Wealth Management - Ellev - The Best Full-Service, Award-Winning Ad Agency in the Carolinas! We it was time for a new look and approach for WCM Global Wealth Management to reach out to the potential clients and return customers, they came to Ellev! 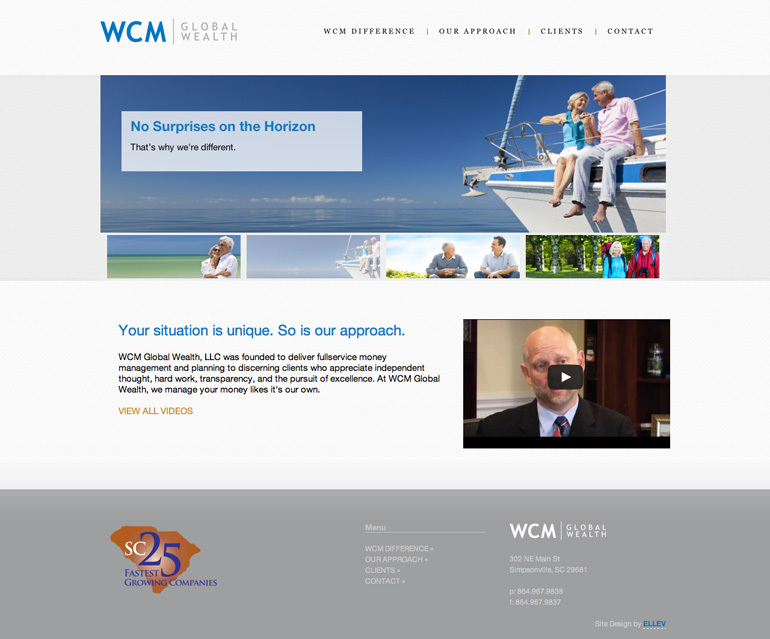 For their new website design and branding approach, WCM wanted a cleaner look with a concierge type look and feel. They wanted a new website that was informative and inviting. Not one that was sensory overload as so many sites are these days. Remember the saying “Less is more”, well it certainly can be true! And in the case of the new website design for WCM Global Wealth Management, Ellev set out to accomplish that feat! We are very proud of this website as we are all our designs. We take the time to find out what our clients want, what they are about, and who they want to reach, so that we can help them achieve the best possible designs and to accomplish their goals!